Premiere Productions producers Randall Hickman and Doug Davis are mounting “The Drowsy Chaperone” at The Lawrence Welk Theatre through Aug. 27th. “The Drowsy Chaperone” is a little gem of a musical with music and lyrics by Lisa Lambert and Greg Morrison with book by Bob Martin and Don McKellar. Orchestrations are by Larry Blank. ‘Chaperone’ debuted on Broadway in 12006. It was reshaped at the Toronto Fringe Festival from its original beginnings in 1998. It was a wedding present for actor Martin and his fiancée Janet De Graaff. 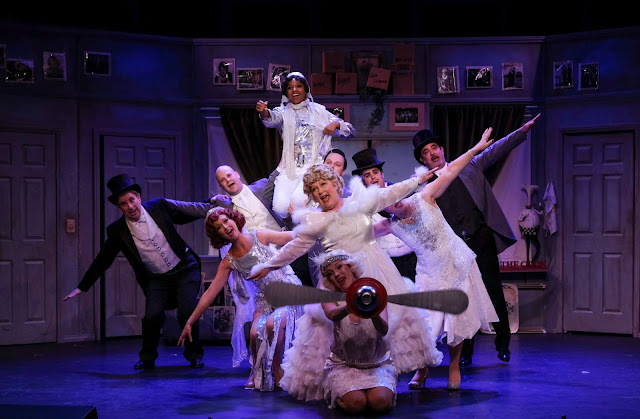 It started off as a spoof on old musicals ranging from the 20’s to the 40’s and by the time it reached Broadway it looked pretty much as it does today. What makes it so special for San Diegan’s is the fact that one of our own, Casey Nichalow, a graduate of San Diego Junior Theatre was nominated for a Tony for best direction and choreography. The staying power of the show is that it’s the antithesis of the big Broadway musicals, yet still retains a big look in a small way. It’s a play within a musical, a parody of the early musical comedy. 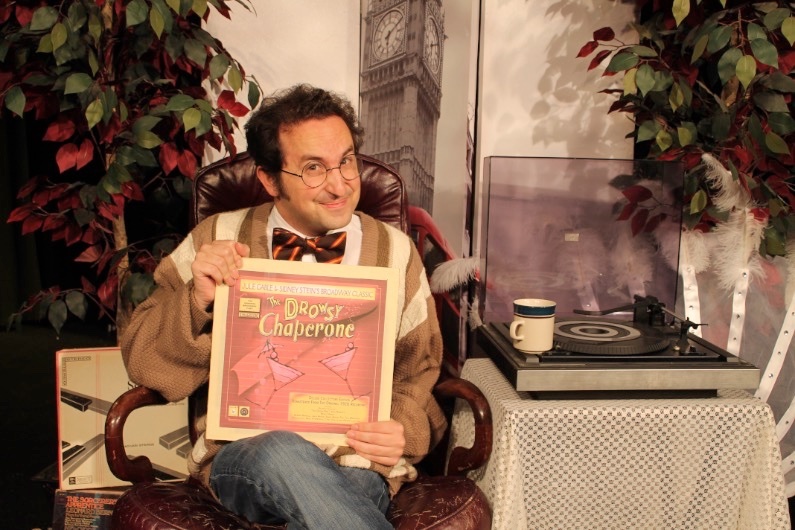 When the lights come up, the Man in Chair (Vincent Pasquill) is sitting comfortably surrounded with records (yes 78’s) recalling the good old days of the musical of the 20’s and his favorite “The Drowsy Chaperone”. He pours himself a drink, locks himself in his apartment and turns on his phonograph and we’re off to the races, aka The Morosco Theatre. 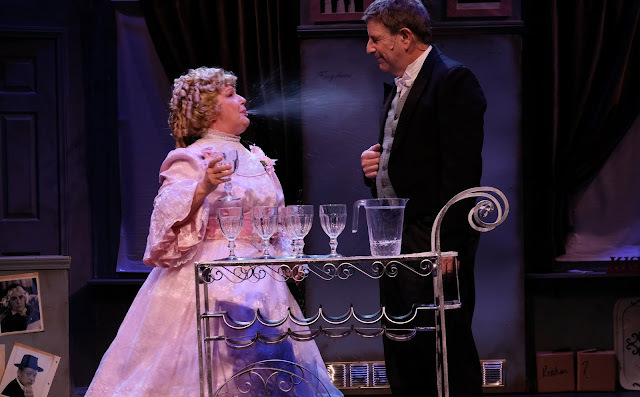 The cast of characters in this fictional musical comes to life full force when the star of the show, Janet Van de Graaff (Ashlee Espinosa) shows up in the Man’s apartment that is now transformed into the theatre. Her opening number, “Fancy Dress” sings her praises that she is getting married on this day and leaving show business and her career behind to marry the very rich Robert (Aaron Shaw). Much to the chagrin of her producer Feldzig (Torre Younghans) who shows up with every intention to undermine her plans. He brings in two thugs, Gangsta #1 and #2 and (Chris Bona and Dante Macatantan) impersonating the chef's to deter the marriage, a chaperone, who drinks too much, and whose job it is to keep the bride from seeing her intended (an excellent Lisa Dyson). Latin Lover Adolpho (Alex Allen “I Am Adolpho”) is brought on to have an affair with Janet but instead falls for the drowsy (read inebriated) chaperone under some dubious circumstances. The rest of the characters include Kitty (Kylie Molnar sounding more like Adelaide in “Guys and Dolls”) who is waiting in the wings to replace the leading lady if the producer will have her. The Hostess with the Mostess is Mrs. Tottendale (Robin La Valley, “Love Is Always Lovely In The End”) Underling (Doug Friedman aka the butler seen always with Hostess), Trix the aviatrix ‘what we now call a lesbian’, (a super talented and beautiful Justin High) and last but not least, the best man George (a terrific dancer Patrick MacDonald). For a small show, it has a sizeable cast ready to sing, dance, play, drink and love at a moment’s turn. It’s all so cozy and fun. Douglas Davis designed the set; Jennifer Edwards, the lighting, Theatre Company the costumes and musical direction is by Becky Brooks. Still no live music. One main criticism, Man in Chair, Vincent Pasquill could barely be understood or for that matter heard clearly throughout and yours truly was sitting closer to the stage rather than further back. As narrator talking throughout the show guiding us along, he has to be understood. Hopefully he will become stronger as the show moves ahead. 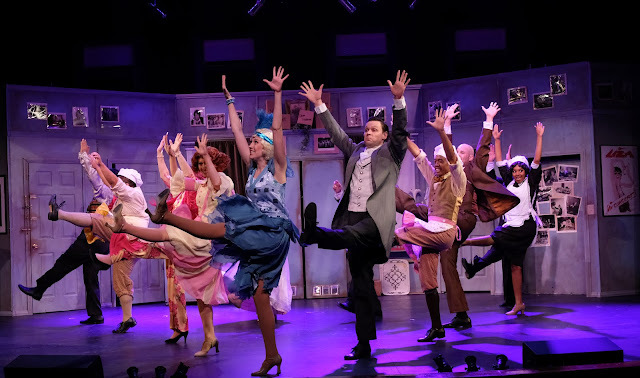 Director/choreographer Ray Limon (tap, waltzes and tangos) gets the most out of his cast some showing more finesse and talent than others but overall the fun of it is trying to guess who the characters are in real life, if you are old enough to remember.